Are you experiencing a wet basement in Rockville? Let Basement Masters Waterproofing handle all of the repairs. We will use our expertise to make sure you have the best solution to your flooded basement. If you see cracks or bowing in your basement walls, leaks, or water stains, contact us as soon as possible. We have over 25 years of experience in the Rockville area performing waterproofing and residential foundation repair and we will use that knowledge, along with quality products, to help you have a dry basement again. We guarantee our service, products, and price and our work is fully warranted and transferable to the next homeowner. A dry basement is not only an annoyance, but it can also lead to health issues or structural damage, so make sure you have it repaired as soon as possible. Interior drainage systems are less expensive than an exterior drainage system. The interior systems use a sump pump and pit to drain the water before it can cause any damage to your basement. An exterior drainage system is more invasive, but keeps the water away from your foundation, protecting your home more effectively. 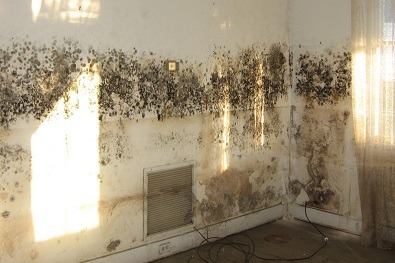 The experts here at Basement Masters Waterproofing will do a thorough evaluation and advise you on the best method to remedy your wet basement situation. In addition to waterproofing, we can fix cracks in other concrete at your home, such as driveways and sidewalks. Basement Masters Waterproofing can also install new egress windows or seal existing window wells. Furthermore, we can help you if your home is experiencing foundation issues, such as cracking, settlement, or shifting. It is important that these situations are addressed quickly, as they can lead to catastrophic damage to your house. Contact Basement Masters Waterproofing immediately if you notice cracks in your settling foundation, bowing walls, or sloping floors. Your safety and the well-being of your house are important to us! Everyone at Basement Masters Waterproofing makes it a priority to treat you with respect and honesty. We want you and your home to be safe and dry and will give you the personal attention needed to ensure this. We are proud of the reputable service and quality products we provide to the Rockville community. Contact us today to learn more about stabilizing your Rockville home.